In the wake of FCC’s attempts to repeal the Open Internet rules, a wide-scale net neutrality protest is scheduled for July 12th. Facebook and Google—which had been staunch supporters of net neutrality in the past—have recently confirmed their participation, among over 180 other organizations, including NordVPN. Net neutrality is a longstanding digital principle that Internet service providers should treat all web traffic equally and fairly. In practice, this means that ISPs—such as Comcast or Verizon—cannot block content or choose to speed up or slow down data from specific websites for an extra fee. But now, an effort to undo these protections is being pushed through the FCC, despite a public outcry from Internet users, activists and tech companies. It’s not surprising that telecom giants want to end net neutrality so they can control what creators and users see and do online, and use that control to boost their profits. It might be difficult to believe that you’d ever have to pay extra each month to access a certain part of the web (for example, streaming video or social networks), but that may well be the reality without the net neutrality protections. While the FCC is currently accepting public comments, its chairman Ajit Pai is a former Verizon lawyer and a staunch opponent of industry regulations, who regards the current setup as a burden on business. Pai dislikes the existing rules so much that he even labeled them a mistake while speaking at the Mobile World Congress in Barcelona this February. He has also said he wants to preserve net neutrality, just not in its current form—and he has enough votes to push through the repeal law. As the repeal proposal is deferred for the initial comment period until July 17, the FCC has received over 5 million comments, more than any proceedings in its history. Although the issue revolves around a political debate and a relatively complex tech-world phenomenon, it has drawn the attention of some notable celebrities outside of Washington and Silicon Valley, including the comedian John Oliver. One of the key arguments for repealing the net neutrality rules, which went into effect in 2015, is the opinion that they harm innovation. However, that idea is difficult to square with the fact that all the companies participating in this week’s protest are innovators themselves. NordVPN remains firmly in the camp of net neutrality supporters. 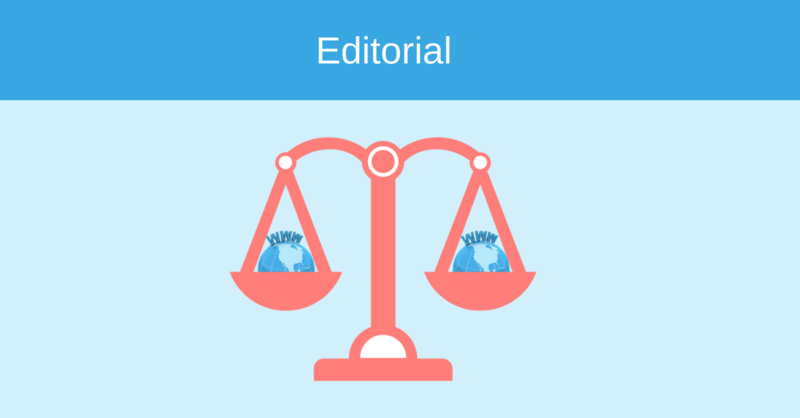 Activities such as content blocking and throttling deny the right to a free and open Internet, and we at NordVPN fully support the free flow of information. Our VPN service reroutes the Internet traffic through an alternative path, bypassing ISPs and avoiding throttling and censorship. The July 12 effort is comparable to another campaign in 2012 when the tech industry rebelled against a contented copyright bill known as SOPA by modifying or even blacking out their websites for a day. The resulting complaints led to Congress withdrawing the bill, and that’s what Wednesday’s protest is all about. On July 12, you may experience a special pop-up message on some websites. Some services may send you in-app alerts, share related images on Facebook and other social media channels, or use other means to help draw your attention to net neutrality. What you can do is leave your comment on the FCC’s website. The current comment period is open until July 17, and your voice matters!